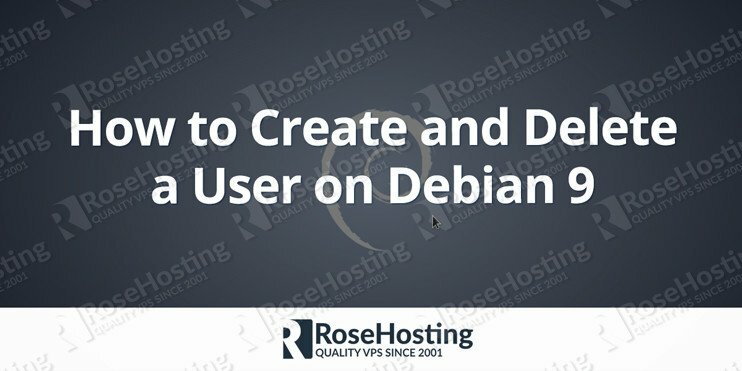 In this tutorial, we will show you how to create and delete a user on Debian 9. In the initial server setup, there is only one user account created and that is “root” user account. This root user has the highest privileges and has access to all files and commands on the system. But having too many privileges and running as root user is not always recommended and if you are not careful enough it can have destructive consequences for your system. That’s why it is recommended to create additional users with limited privileges for your most common tasks. A new user account should also be created for any other user that will be using your server. Additionally, we will also show you how to give those users root privileges when necessary through the sudo command. 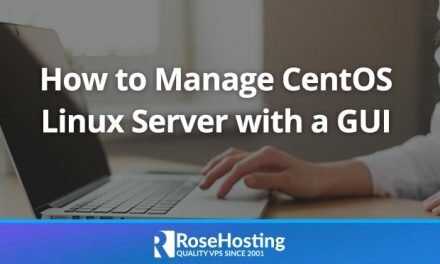 First, you need to establish a connection to your server as user root via SSH. You will be asked some additional questions. First, you will need to enter and confirm a password for this user. Then you will be asked for some additional information about the user, such as full name, room number, work phone, home phone and other. This information is optional and you can just press ENTER on each question to skip it. In the end, you will be asked for confirmation of all the information you have entered so far. If everything is correct just press Y and then Enter. You can now log in as the “newuser” user to your server using the password you have set up. We will now show you ho to allow this new user you have just created, to execute commands as the superuser or another system user. To achieve this, you will need to add the user to the sudo group. All members of this group have sudo privileges. Once you no longer need the user we have created, we can delete it with the deluser command. The user is now completely removed from our system. This is all you need to know when it comes to creating and deleting a user on Debian 9. 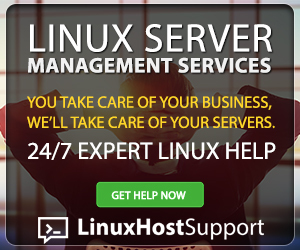 Of course, you don’t have to create and delete users on Debian 9, if you use one of our managed VPS Hosting services, in which case you can simply ask our expert Linux admins to help you create a new or delete an existing user on Debian 9. They are available 24×7 and will take care of your request immediately.